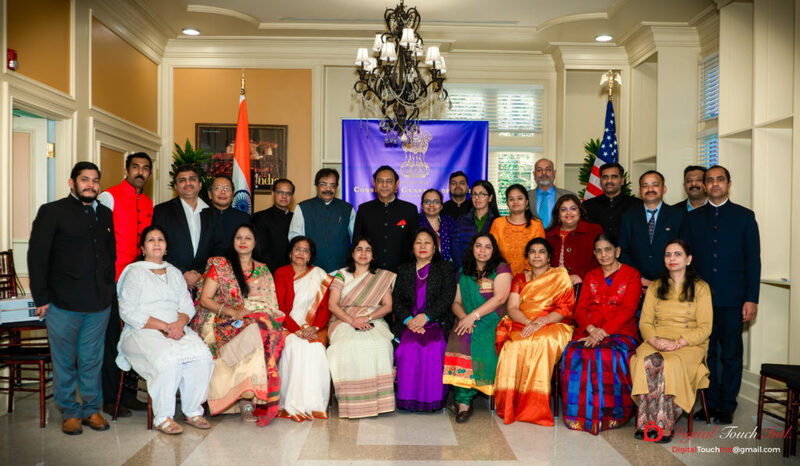 Atlanta, GA: India’s 70th Republic Day was celebrated with patriotic fervor and national pride at the Consulate General of India – Atlanta, on Saturday morning, January 26, 2019, followed with a grand Republic Day reception in the evening at the Studio Theatre, Sandy Springs New City Hall, Sandy Springs. Despite biting cold, the morning celebration was well attended by over 250 members of the Indian community and media representatives. The Consulate’s smartly attired officers and their families included Consul General Dr. Swati Kulkarni, Consul and Head of Chancery Shailesh Lakhtakia, Consul L. T. Ngaihte, Consul Asim Kumar, Vice Consul P. Jeya Pazham, Bikash Kumar, Pradeep Kumar, Sethulakshmi R, Deepak Kumar and other members. 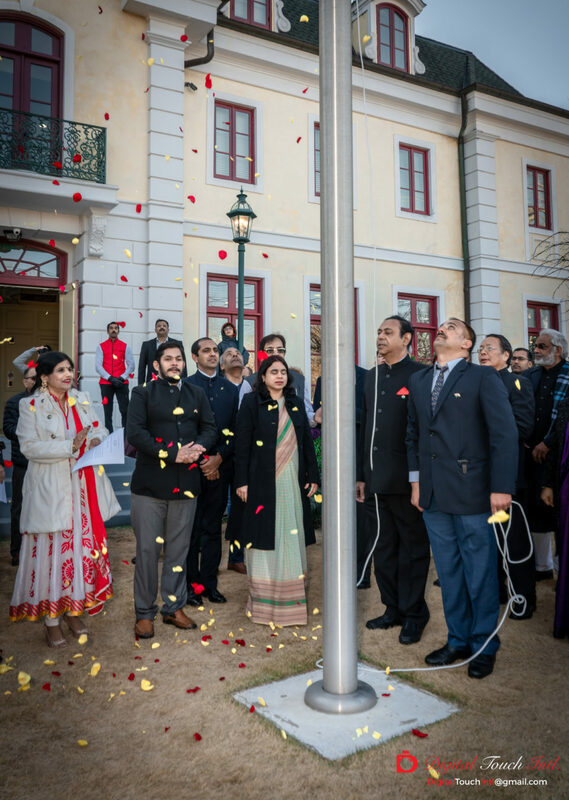 It was heartening to see many children seeing the Tiranga being unfurled at the brief ceremony, after which the gathering sang the Indian national anthem, clapped, and joyfully shouted “Bharat mata ki Jai.”, as flower petals floated gently down on the Consulate lawn. All moved inside the Consulate, where the Consul General warmly welcomed all and said she was heartened to see an impressive turnout including children and seniors, despite it being a very cold morning. READ THE REPORT IN OUR FEBRUARY 2019 EPAPER BEFORE YOU PICK UP YOUR COPY AT THE NEAREST LOCATION! She proceeded to read from the President of India Shri Ram Nath Kovind’s rousing and inspiring address to the nation given on the eve of India’s 70th Republic Day. All listened intently and could follow along in a handout of the speech. The President urged all the voters to cast their vote in the upcoming general and Lok Sabha elections in which he noted the continuing progress by India in economy, infrastructure, universal and equitable healthcare, housing, gender equity to every girl child and every woman, in education, and connectivity through mobile phones and data access. Leapfrogging technologies and leapfrogging enlightenment are empowering our farmers and equipping our soldiers. Dr. Kulkarni and Consul Lakhtakia wished all a very Happy Republic Day. The cheerful wives of the Consulate officers, Consulate’s ladies staff and also from the community dressed in colorful saris, salwar kameez, kurtis etc., conversed, took pictures, posed for selfies, and relished the delicious refreshments accompanied with evergreen and memorable patriotic songs “Aye mere watan ke logon” and more.